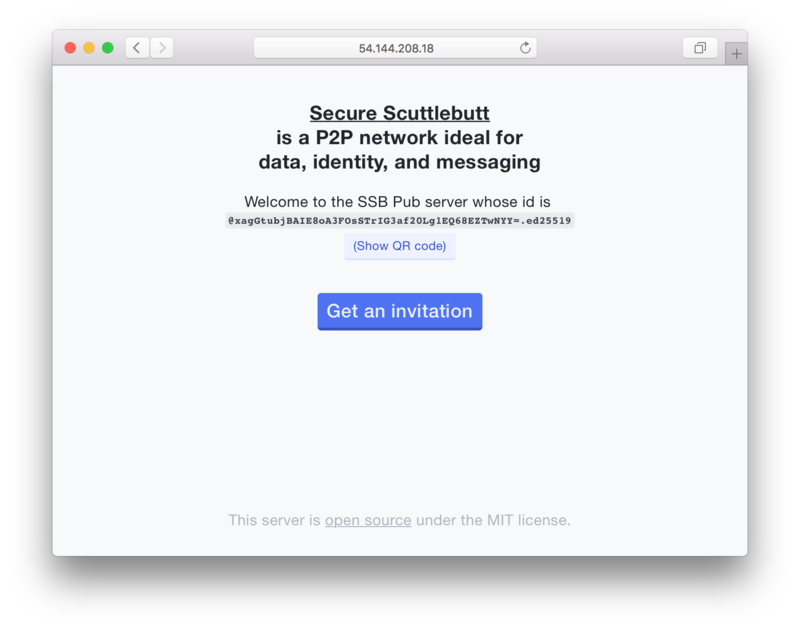 Your scuttlebutt is the data you carry with you - imagine a little slice of a parallel universe in your pocket. This data is yours and you can interact with it however you like. These apps are different kinds of magic glasses to help you interact with this reality. Try different glasses on, change them when you&apos;re bored, make some new ones that fit you better ... your scuttleverse doesn&apos;t mind - it&apos;s just data. Come explore with us! If you are new, you might like to start with Patchwork! 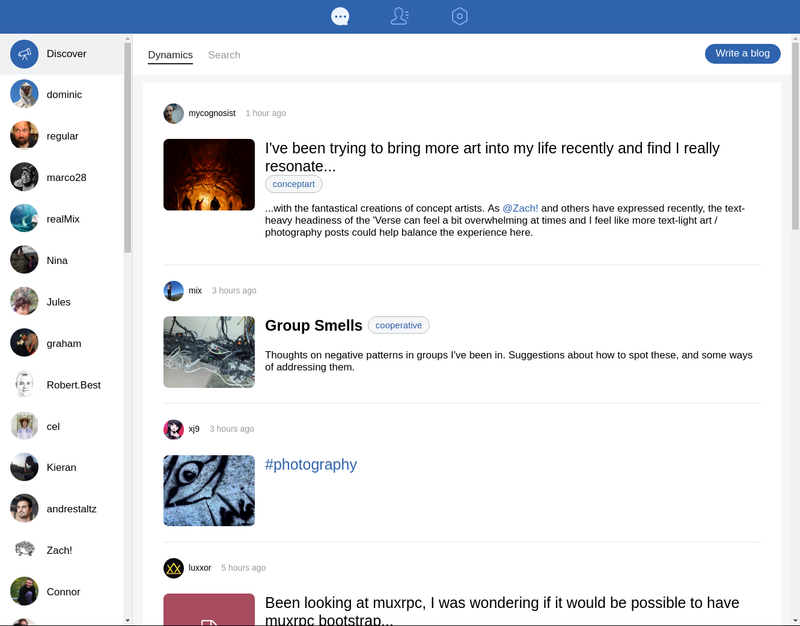 A decentralized messaging and sharing app. 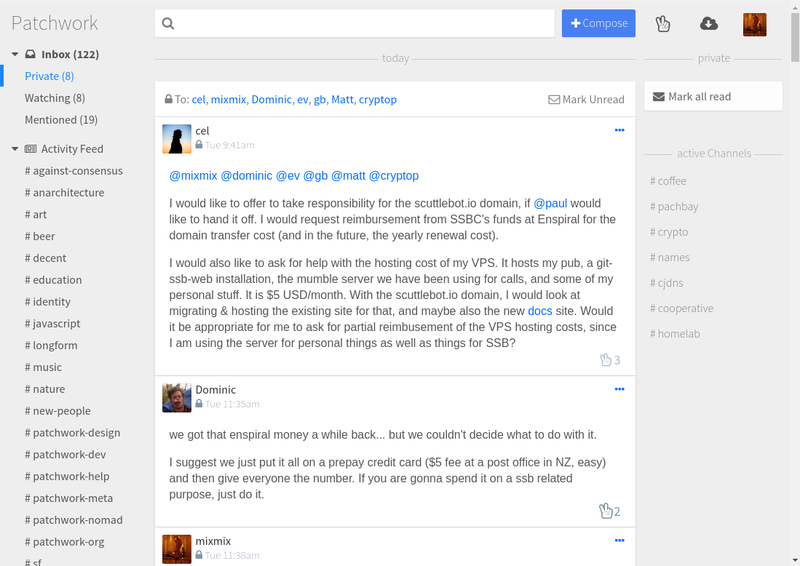 The goal is to make a standalone, easy to install, "social" view into the SSB world. 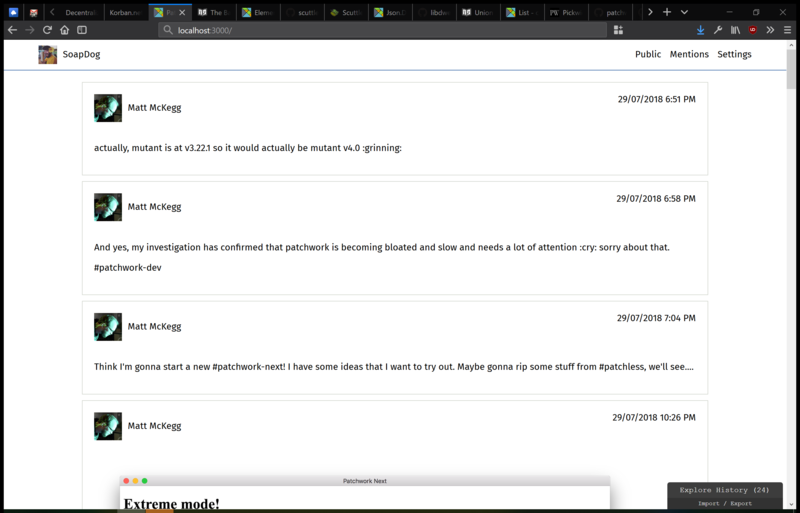 Also built on patchcore, but uses a tabbed interface instead and has some more bleeding edge features. 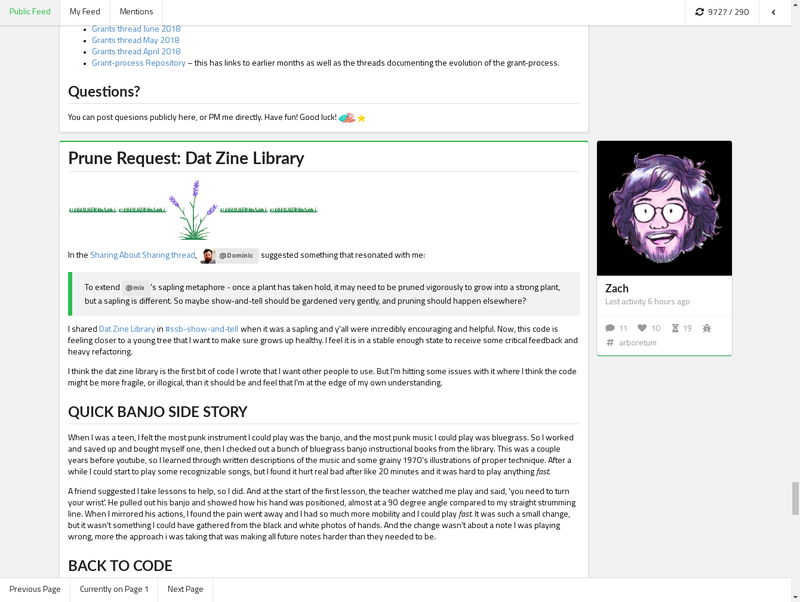 The goal is to make a client developers love - it comes with social views, as well as chess, book reviews, and some git interface. Plain SSB web UI. Uses HTML forms instead of client-side JS. Designed for use on low-power and low-resource computers. 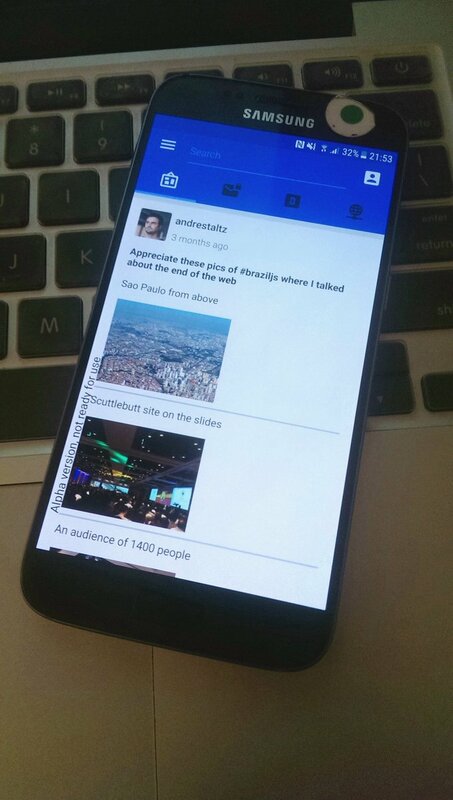 patchless is a standard for modular ui apps. 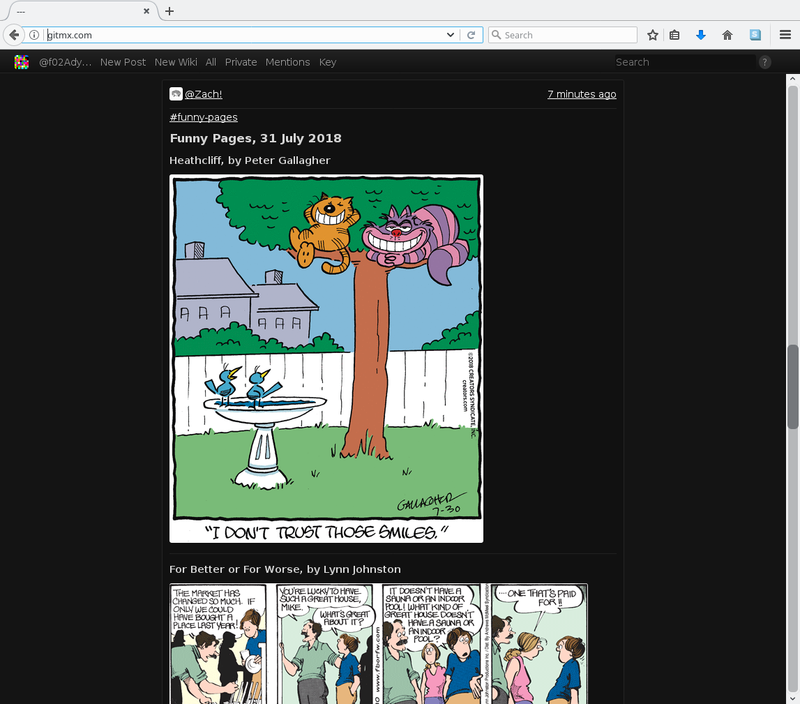 secure scuttlebutt client using „modern“ web development technologies. This is a minimum viable full-stack Decent server and client. 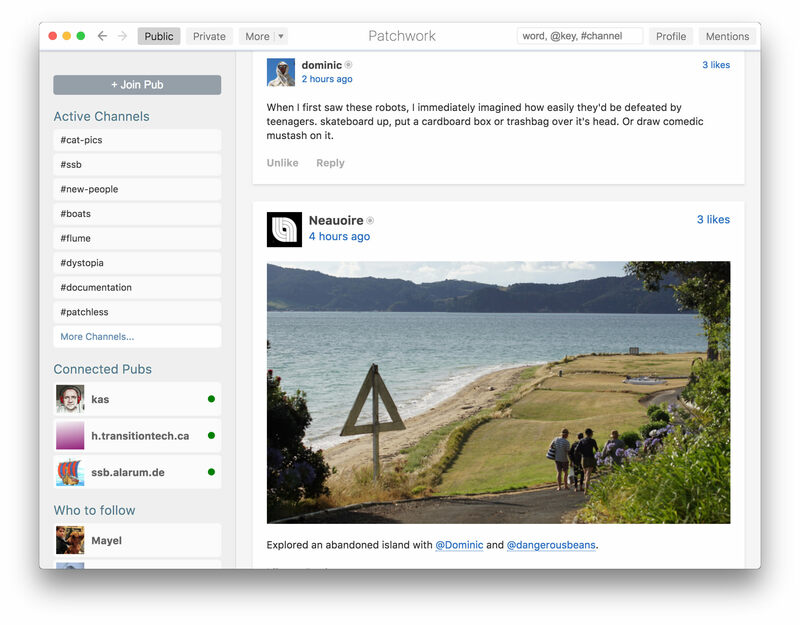 The first major messaging interface built on SSB, using React. Currently has installers for Mac and Linux, and translations. 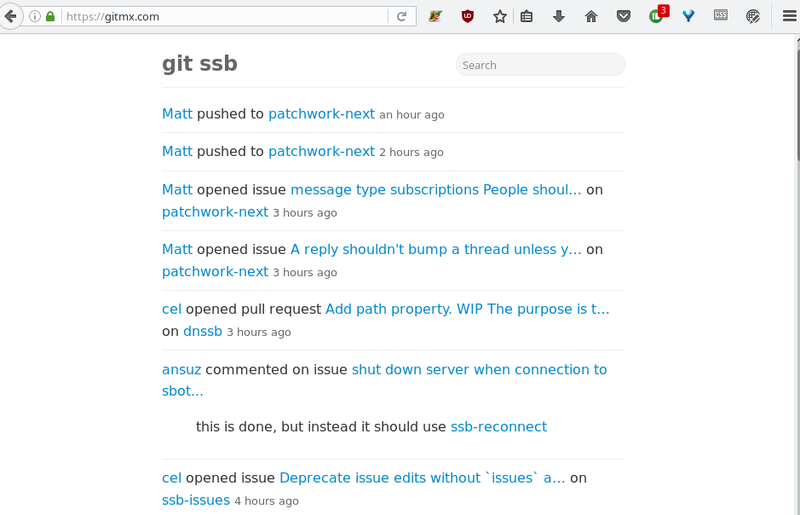 A totally decent git interface using ssb. Familiar interface for raising issues, forking, opening pull requests. News about projects of friends, or people you follow. 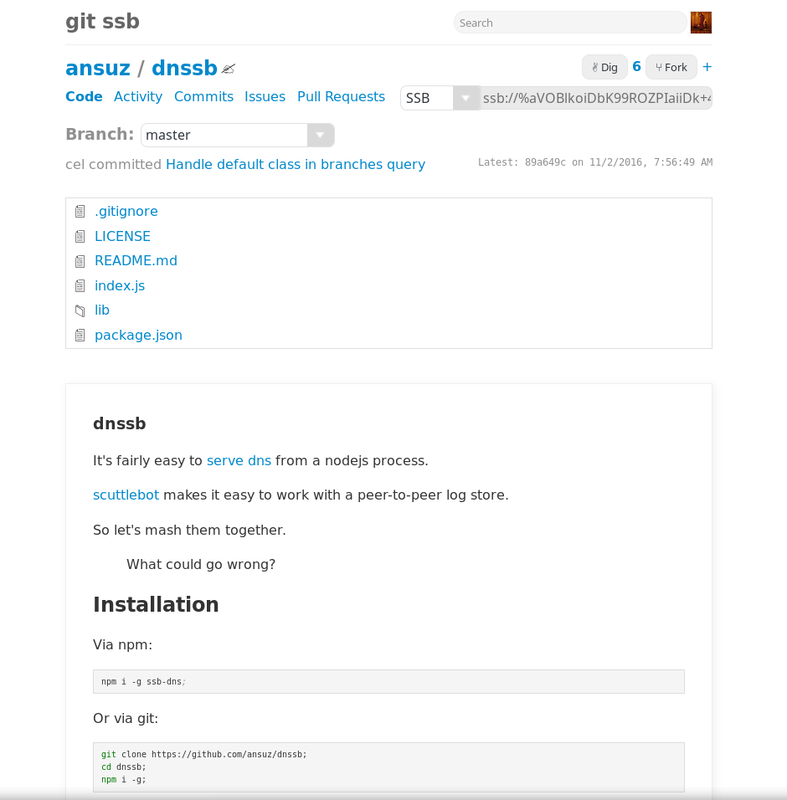 A totally decent npm interface, using ssb as your npm registry. 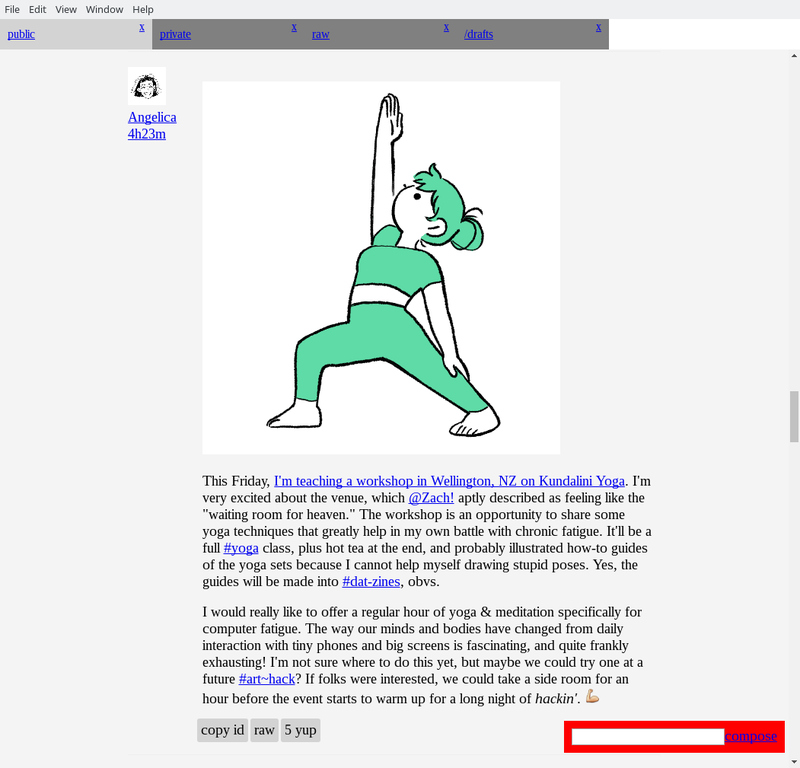 A blog publishing app for long-form articles. 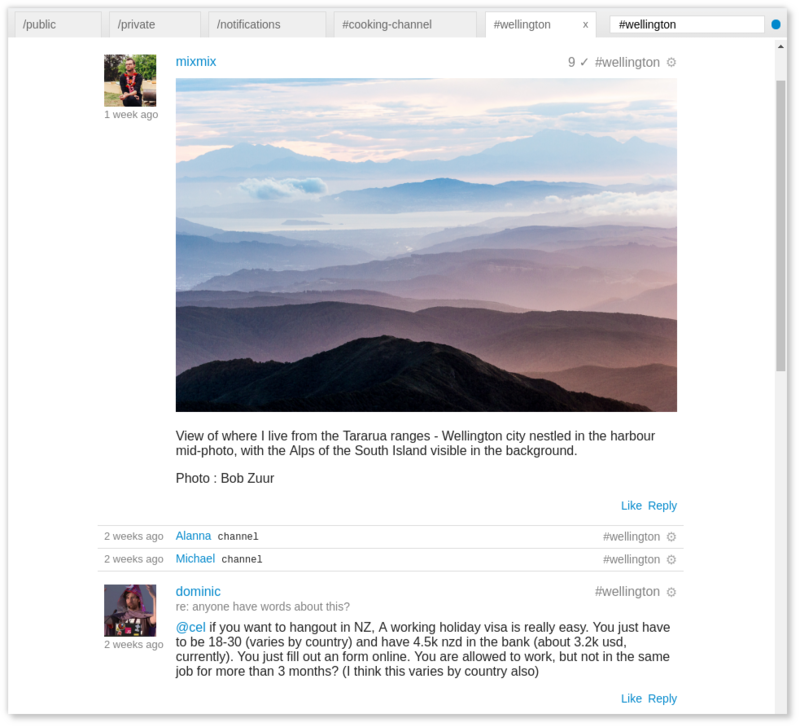 Also has private messaging integrated. 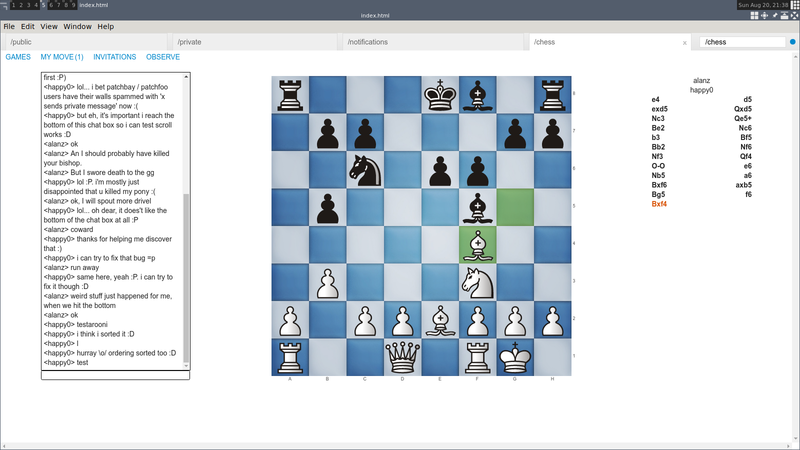 Correspondence chess built on top of the scuttlebutt platform. 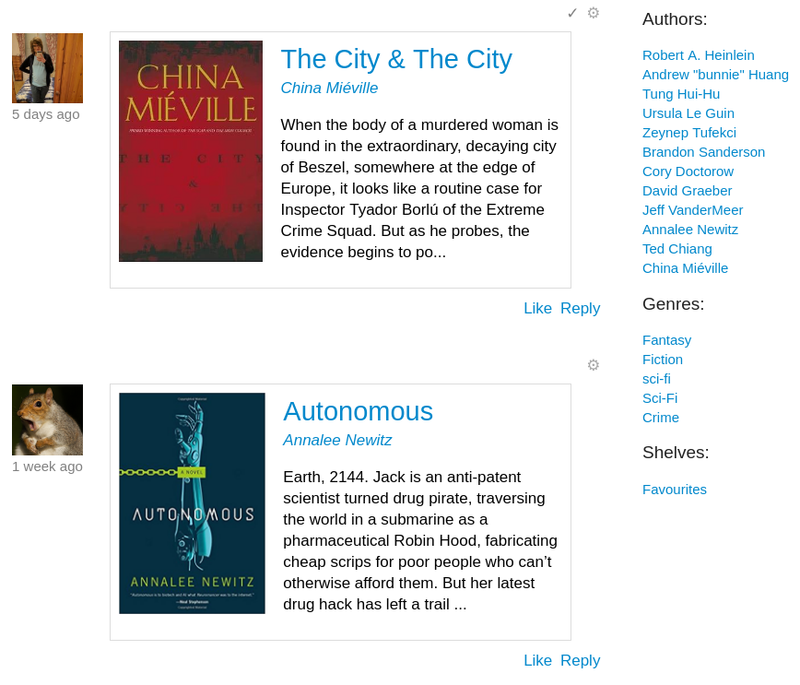 Review and discuss books overs scuttlebutt. Patch-book is a patchcore based plugin. You can use it in e.g. Patchbay. This is a proof of concept for a decentralized file system for Secure Scuttlebutt. With SSB Drive you can create as many file systems ("drives") as you like, share and organize files with your friends without requiring a central repository or server. When you work on your files while offline, the SSB Drive file system will merge automatically with the rest of the world once you rejoin the grid. Name conflicts are handled with "Observed Removed Sets" (OR-Sets) from CRDT. Infinite Game is a tool to help you grow connections with new friends, and to help invite the future you want to see into the world. It lets you look back and reflect on the exciting things you and your friends have done, and be inspired and excited for the future. 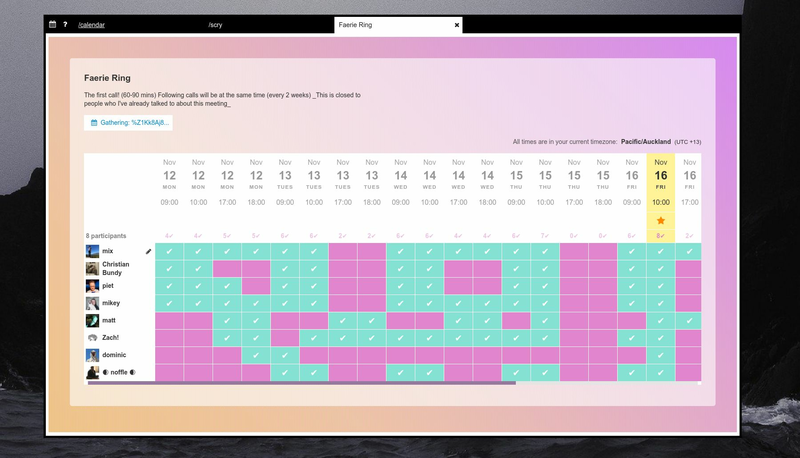 Right now it looks like a calendar, some gatherings tools (private or public events), and a tool called scry to help invoke and settle gatherings (simliar to doodle). 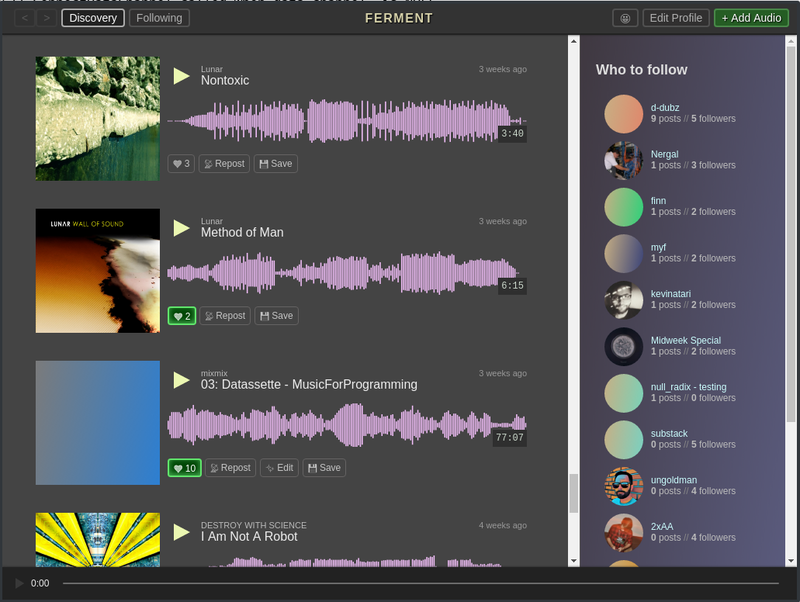 A music sharing app for musicians, remixers, creatores, Built using ssb + webtorrent. Note: Servers for the webtorrent part of this are currently not being maintained. 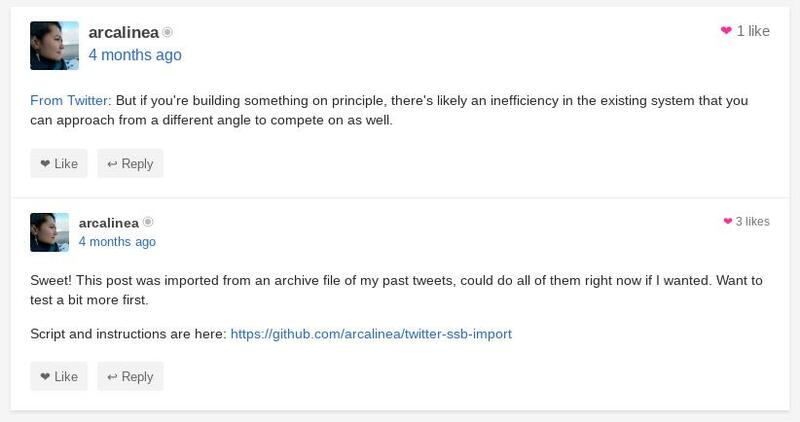 Script to import tweets from Twitter to ssb, so that they will display in Patchwork. Convert your SSB social graph to GraphML format. 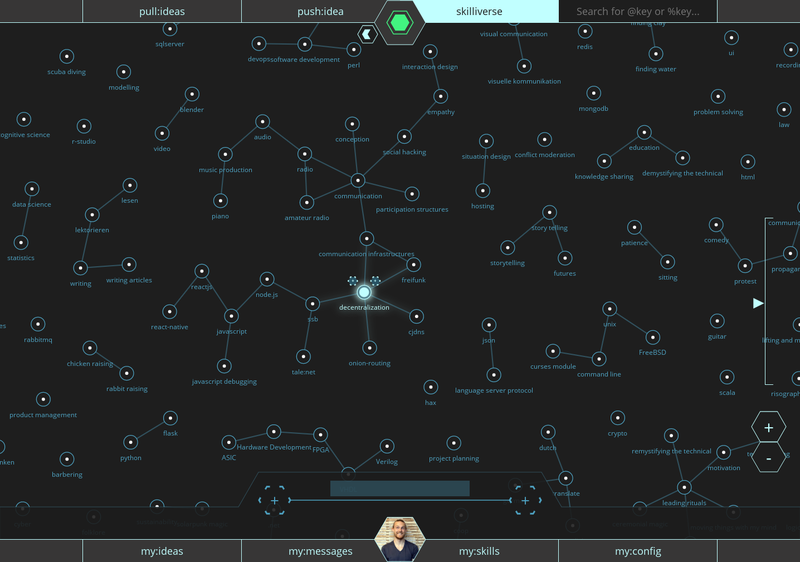 An interactive visualisation of your local scuttleverse. Fly with [w,a,s,d] and look with [up,left,down,right]. 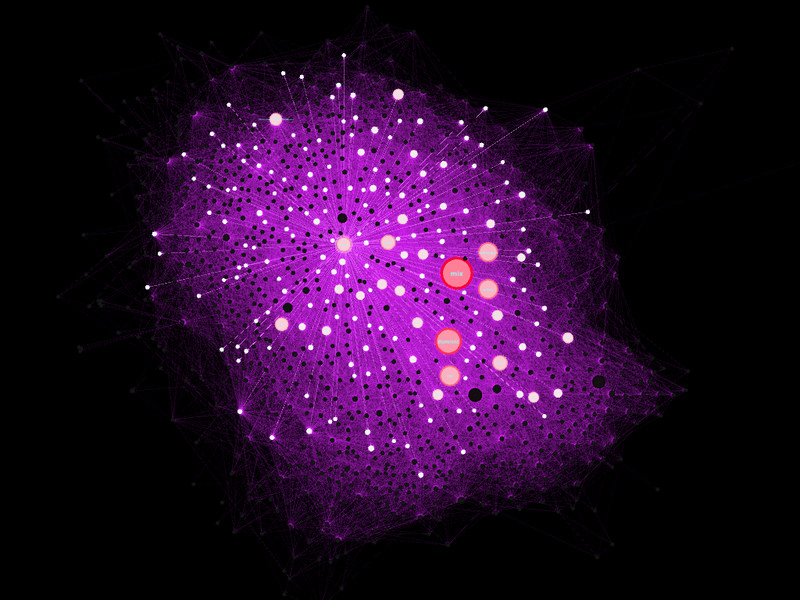 Hover over nodes to see who they are and light up their 1st and (dimmer) 2nd degree friendships. 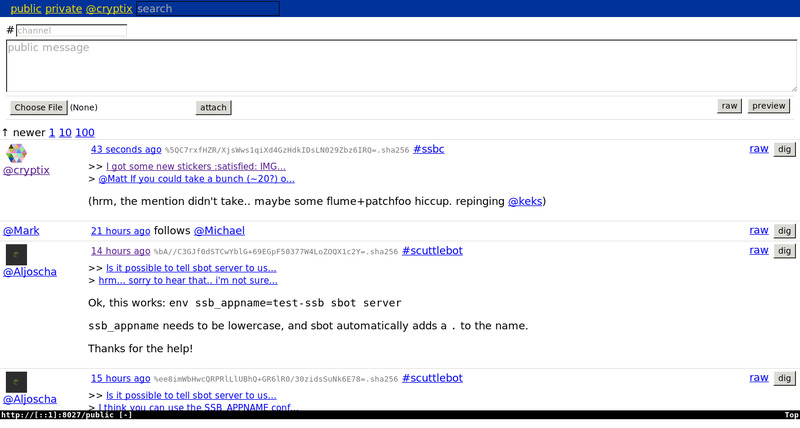 Scuttlebutt bot that read RSS feed and post updates automatically. Posts published over time (from the perspective of Cel&apos;s pub server). 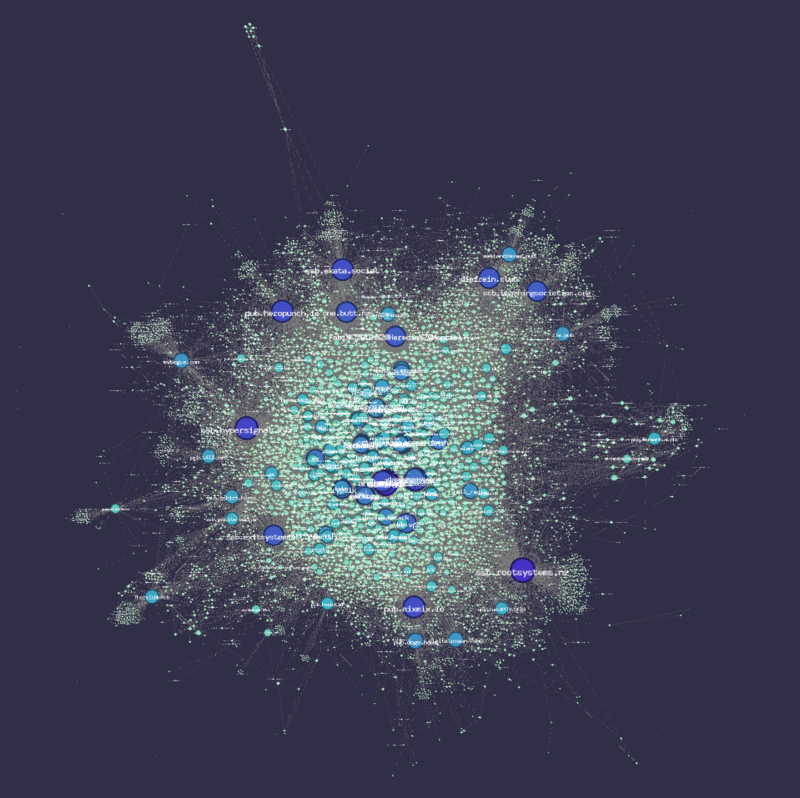 Colors represent when that user first posted (so is a way of visualising cohorts).